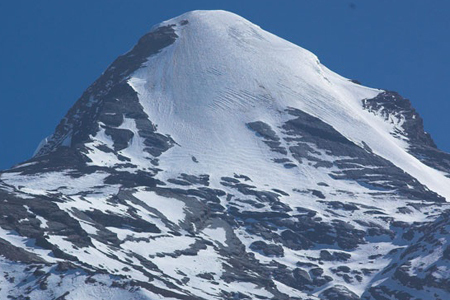 A Journey to Pisang peak Combines Divers feature of the Popular in Annapurna region in the term of group and changing topography. A unique trek and demanding adventure climbing can be suitable only for the individual fit wishing to take on an adventure of a lifetime. The pisang peak rise from the yak pasture above the old pisang village to the final submit in the uniform slope of snow and ice. The western flank guarded by glacier and a traverse to the whole submit. Organize climbing clinic group briefed instructed by experience climbing Sherpa. So that you acquire the necessary skills confidence to the submit top. After the pisang peak successful peak climbing we trace our way to pokhara via thorong pass and Jomsom. Different Community with majority of Gurungs, Magars, Thakalis & Tibetan. Magnificent view of the mountain. Drive to Besisar from Kathmandu. Trek up the Marsyangdi Valley to Pisang village. Rest and acclimatization at Pisang. Trek to kharka and set up Base Camp. Set up High Camp and summit attempt. .
Trek down the Kali Gandai valley to Pokhara. It would be easy for you if you have your own group if not also we can arrange a group trek according to your request. You would be joining the group in Kathmandu. If you want to have a solo trip then we are always ready to help you again with single supplement charge. We try our best to make your comfortable holiday in the beauty of Pisang region. Climate in Nepal is diversified depends on season. From the low level to highest point of the World, it starts from hot to cold region from South to North. You can travel Nepal in any season but the best time to visit in Pisang Peak is autumn & spring. If you are in autumn the weather is perfect and sky is crystal clear but in spring the weather seem little cloudy but the full blossoming Rhododendrons are awesome. In Summer visibility is poor and there is less chances to see the himalayas and in winter it is very cold in mountain but still possible to do this trip. While you travel Pisang Peak, you need to obtain the entry permits and TIMS permit. All the applicable permits and entry fees are including on the given cost except personal contribution and donations. In case of extra charge and payment, the agency will inform you. NEAT is highly aware with Environmental concern and keep right ecological system. There shouldn’t be awful impact while you travel around thePisang Peak. So, we involve some campaign of cleaning trekking trails, works with KEEP project etc.